For protection in environments where an outside air source is required. This portable & lightweight air source is designed for one hood user, or up to two full or half face respirator users. Solid performance in applications such as painting, cleaning, sanding or chemical handling operations. 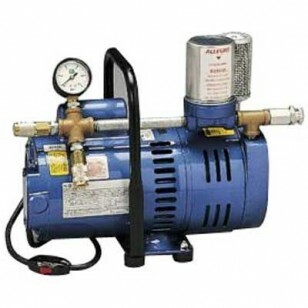 This product does not require a compressor. This product has a built-in mechanism that generates a low pressure air source.